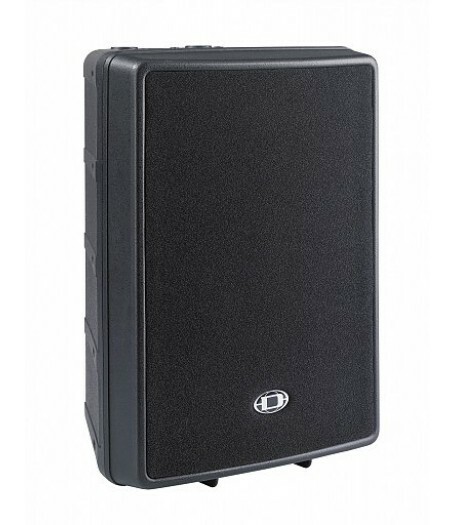 With the newly designed D12-3, DYNACORD fulfills a longtime customer demand for a light-weight , extremely robust high-performance professional 12" 3-way plastic cabinet for use in professional, portable and fixed install sound reinforcement applications. For low frequencies an Electro-Voice DL12BFH is used. The midrange is projected from the ultra-low distortion DYNACORD DND 6120 Neodymium cone transducer with a conical radiation pattern of 120°. The DND 6120 guarantees excellent intelligibility without any necessity of precise aiming. 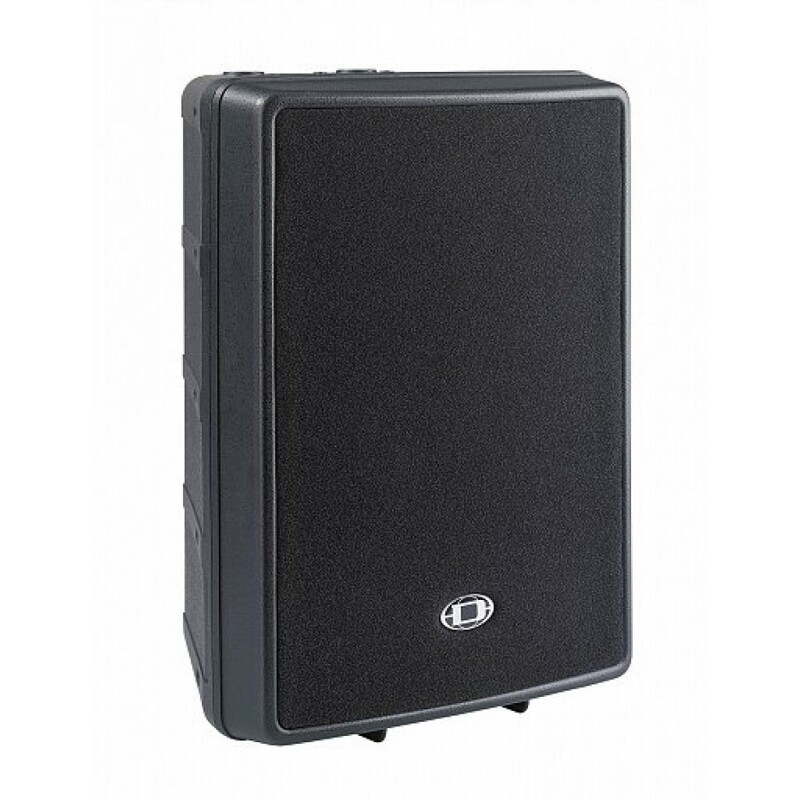 The Electro-Voice DH 3 driver is used for the projection of the high frequencies. The Constant-Direcctivity HF horn has been integrated into the baffl e by CAD methods. Nominal coverage angle of the cabinet is 90°*50°, horizontal*vertical respectively. Power handling of the cabinet is 350W (continuous) 700W (program) and 1400W (peak). The maximum sound pressure level is 128dB, the frequency range of the D12-3 is 70Hz to 18kHz. The D12-3 is ideally suited for applications as full-range cabinet or as Mid-Hi cabinet in in high-performance small-format active and passive satellite systems.